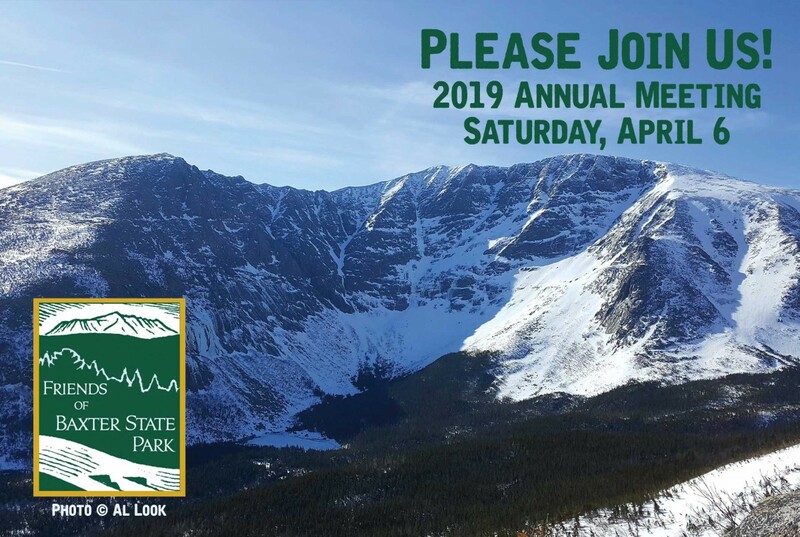 Please join us this Saturday, April 6 for a great spring tradition: the annual meeting of Friends of Baxter State Park. We'll have lots of hot coffee, good company, interesting speakers, and a delicious lunch at noon. All are welcome. The meeting will be this Saturday, April 6 at the Governor Hill Mansion, located at 136 State Street in Augusta, Maine. PLEASE NOTE THE NEW LOCATION. As always, we'll gather for coffee at 8:30am and the meeting will start at 9:00am. We'll have updates from the Park, as well as beautiful photography, guest speakers, great company, and more. Please contact Aaron at director@friendsofbaxter.org with any questions. We hope to see you on Saturday!